Jay Hollingshed a Mental Performance coach and the owner of Jay Hollingshed LLC has started the new year by introducing a year-long live coaching event on Facebook & Instagram. His Modern Mental Performance Coaching has already helped many business leaders, entrepreneurs, athletes, entertainers, and businesses to build mental resilience and maintain a strong mental game. Jay currently offers a comprehensive range of coaching services including seminars, workshops, public speaking, and elite client coaching. Jay’s Modern Mental Performance Coaching can be attributed to his personal mental performance struggles, education, and the combined wisdom of many renowned stage entertainers, top-level fortune 50 executives, ’BiG 10’ college coaches, and former professional athletes. Having spent several years of his life as a career fire-fighter, Jay volunteered as a trained peer counselor and conducted multiple deep dive mental assessments with fire, police and military personnel, and the psychologists that treat them. He has also gained tremendously from the former columnist of SUCCESS® Magazine and legendary coaching guru John Maxwell. Jay has lived his teachings. As a child, Jay displayed certain mental issues, for which he was often referred to as the “weird kid” in the class. Starting from elementary school to the first semester of his doctoral program, he regularly scored poorly on standardized tests, struggling academically. After being dismissed from his doctoral program in 2017 and again in 2018, at the age of forty-five, Jay went through a mentally draining, seven-hour clinical neuropsychological exam, and was diagnosed with a combined type ADHD, and a multi-symptom Reading Disorder. However, following his own teachings and other non-medicinal researched methods, Jay is successfully reducing the need for his ADHD medication, and force-setting stronger reading comprehension levels to position himself for the round three of his doctoral program. Based on Jay’s experiences and interviews, the following seven phrases emerged as the pillars of his mental performance coaching program. Having overcome transient depression not once, but twice, Jay now wants to share the secrets of his mental resilience free of charge. He is available as a guest speaker, sharing how his grit and determination got him through a Master’s Degree in Healthcare Administration, without knowledge of his ADHD and a reading disorder of multiple symptoms. About Jay Hollingshed: Jay Hollingshed helps executives, entrepreneurs, organizational leaders, career athletes, and professional entertainers enhance their performance in high-intensity situations. 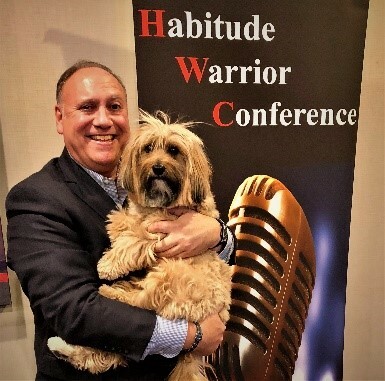 Jay’s a proven Mental Performance coach and owner of Jay Hollingshed LLC, where he offers a trio of coaching services including public speaking on his personal testimony. Jay has his Master’s degree in healthcare administration and a Bachelor’s degree in organizational development. Born and raised in Memphis, Tennessee and now a native of Columbus, Ohio, Jay has a passion for helping others succeed and lives that through his work. Next Story Next post: Wale Adekanla, Dynamic Trainer, Transformational Speaker, Leadership Coach. Talks About His “2019 GLOBAL TRANSFORMATION TOUR” Starting January 21st,2019 In Business Innovators Magazine.